1/8â€ thick ~ traditional thickness of â€œregularâ€ rotary cutter rulers. Â¼â€ thick ~ cut from Â¼â€ thick clear acrylic. 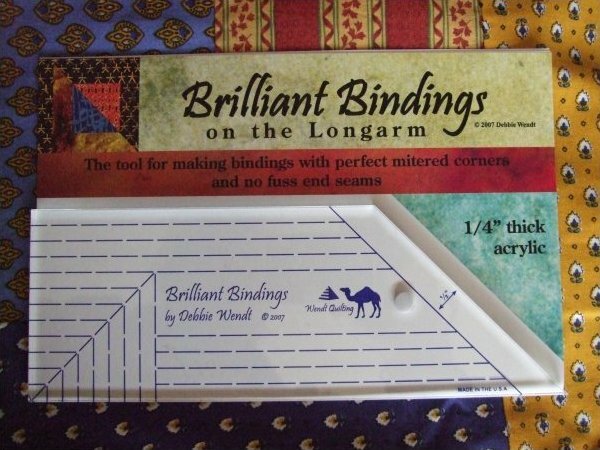 The Brilliant Bindings tool with instructions for binding on the longarm and DSM. 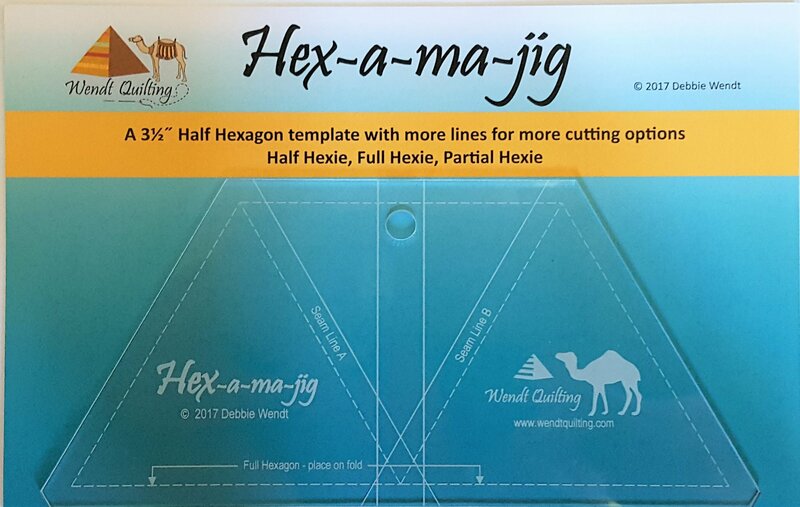 It can also be used at the longarm machine as a ruler for stitching straight and diagonal lines. 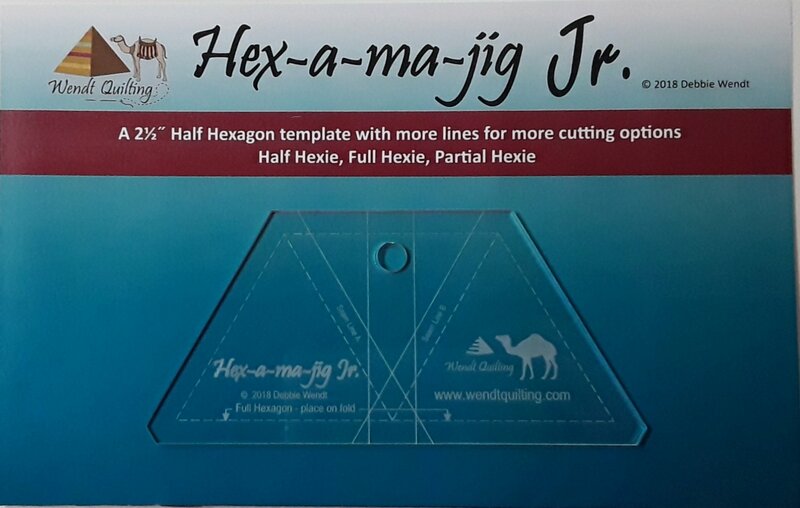 View Large Image Hex-a-ma-jig Jr.
A 2 1/2" Half Hexagon template with more lines for more cutting options! 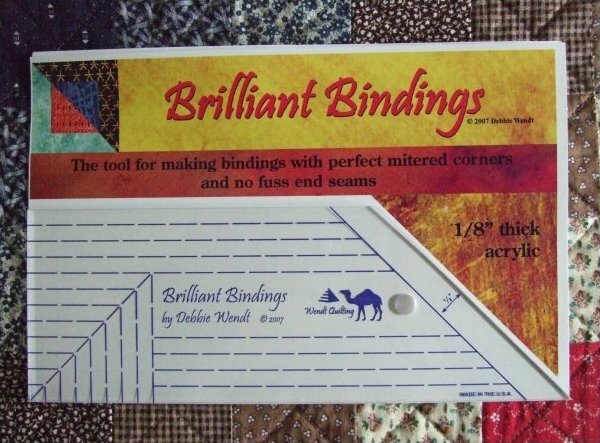 Great for 2 1/2" strips! !